Hello guys, you might have heard about Apache Kafka, the next generation, Big Data messaging system which is handling billions of messages per day on companies like LinkedIn, Uber, Airbnb, Twitter etc. It's a revolutionary technology and perfect for today's mission-critical application which has so much data to process and analyzes. From last year, I have been sharing a lot of resources like books, courses, and tutorials to learn these sunrise technologies so that you can aware of these and learn it to make yourself more valuable or jump into some exciting career path. For example, In the past, I have shared some awesome courses on Big Data, Spark, and Hadoop and many of my readers requested me to share similar suggestions for Apache Kafka. If you are interested in Apache Kafka and looking for some awesome courses to learn online then you have come to the right place. In this article, I am going to share some of the best Apache Kafka courses to learn online. If you know about Big Data then there is a good chance that you have also heard about Apache Kafka, the software which handles data feed for any organization. It's a distributed streaming platform developed by Apache foundation for building real-time data pipelines. The biggest advantage of Apache Kafka is its speed and horizontal scalability, which means you can increase capacity and throughput by adding more hardware. This makes it ideal for companies dealing with Big Data and that's the precisely the reason why many companies like Netflix, Uber, Twitter, LinkedIn, and Airbnb uses Apache Kafka in production to processing billions of message per day. Apache Kafka was designed to address large-scale, data movement problems and has enabled hundreds of companies to achieve successes which were not otherwise possible with the existing messaging system. You might not know that Apache Kafka is written in Scala and Java and it aims to provide a unified, high-throughput, low-latency platform for handling real-time data feeds. Anyway, without any further ado, here is my list of some of the best courses to learn Apache Kafka technologies. There are not many materials on these topics as they are both new and niche but I tried to collect some of the best which is currently available in the market. If you come across any other awesome course which we can include in this list, feel free to drop a note here. This is a great course to start learning Apache Kafka from Scratch. 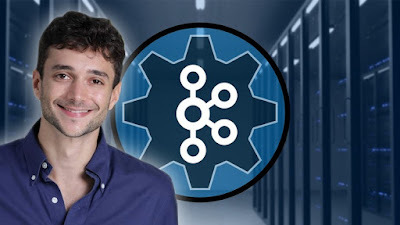 In this course instructor, Ryan Plant will teach you everything about the architecture of Apache Kafka which enabled it to scale and perform so reliably. After an initial overview, the course moves to explain individual components of Apache Kafka like Kafka Streams for processing real-time feed data and teaches you how to develop Apache Kafka solutions in Java. After this course, you should have all the necessary knowledge to build your own, next-generation big data solutions with Apache Kafka. Btw, you need a Pluralsight membership to access this course, which cost around $ 29 per month. But, if you want, you can get access to this course for a fee by signing up for a 10-day free trial. This is another good course to learn Apache Kafka from ground zero. It's an ideal course for both developers and architects who want to learn the Apache Kafka Fundamentals. 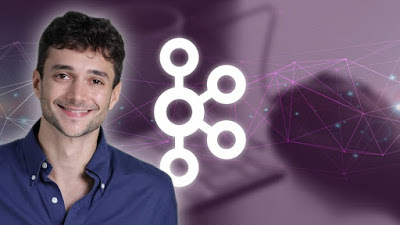 In this course, instructor Stephane Maarek, author of a series of Apache Kafka courses on Udemy will teach you everything about Apache Kafka ecosystem from architecture, core concepts to operations. The course is also hands-on as you will start a personal Kafka Cluster for development purpose and create and configure topics for reading and writing data. You will also learn to integrate Apache Kafta with popular programming and Big Data frameworks like Spark, Akka, Scala, and Apache NiFi. This is another awesome course on Apache Kafka series by Stephane Maarek. This course is focused on Kafka Stream, a client-side library for building microservices, where input and output data are stored in a Kafka cluster. In this course, you will learn the Kafka Streams API with Hands-On examples in Java 8. Though, before attempting this course you should have a good understanding of both Java 8 and Apache Kafka. You will also learn about KStream and KTable both simple and advanced operations and Exactly Once Semantics or EOS like how Kafka enable it and how to activate them in Kafka Streams. This course is part of the Big Data Hadoop Architect master's program in SimpliLearn and it will teach you everything about Apache Kafka you want to know. It's a certification course so it covers a variety of topics. In this Apache Kafka training course, you will learn about Kafka architecture, installation, interfaces and configuration. 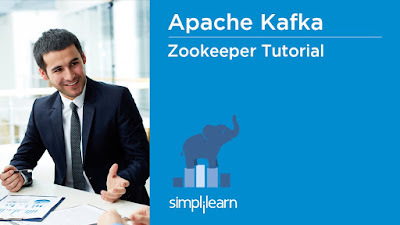 The course starts with a Big Data overview and then explains ZooKeeper and Apache Kafka from the introduction to installation. 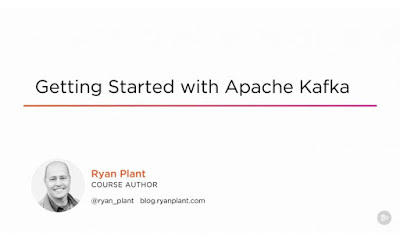 This is the third course in the Apache Kafka series by Stephane Marek on Udemy. In this course, you will learn about Kafka Cluster Setup and Administration. You will set up a ZooKeeper and Kafka cluster on AWS machine and learn how to deploy Kafka in Production. You will also set up a ZooKeeper Cluster and understand its role for Kafka. That's all about some of the best courses to learn Apache Kafka for Java developers. Apache Kafka is a groundbreaking technology and power more than 2000+ companies for their high speed messaging need and a good knowledge of Apache Kafka will go a long way to boost your career. I strongly recommend experienced Java developer, tech lead and solution architect to learn and understand Apache Kafka. Thanks for reading this course so far. If you like these Apache Kafka online courses then please share with your friends and colleagues. If you have any questions or feedback then please drop a note. P. S. - If you are looking for a free course to learn Apache Kafka, you can also check the Apache Kafka Tutorial For Beginners, it's a short but free course and perfect to start with. Which Kafka book would you recommend as the best book covering advanced Kafka concepts?